Balamurali Krishna was born in Sankaraguptam, East Godavari District, Andhra Pradesh. His father was a well known musician and could play the flute, violin and the veena and his mother was an excellent veena player. His mother died when he was an infant and Balamuralikrishna was raised by his father. Observing his inner penchant towards music, his father put him under the tutelage of Sri Parupalli Ramakrishnayya Pantulu. Sri Pantulu was a direct descendant of the sisya parampara of Saint Thyagaraja. Under his guidance, the young Balamuralikrishna learnt Carnatic Music. At the age of eight, Balamuralikrishna gave his first full fledged concert at a Thyagaraja Aradhana, Vijayawada. Musunuri Suryanarayana Murty Bhagavatar, a distinguished Harikatha performer, saw the musical talent in the child and gave the prefix 'Bala' (child) to the young Muralikrishna. This title has stuck ever since and Balamuralikrishna has been known so. Balamuralikrishna thus began his musical career at a very young age. By the age of fifteen he had mastered all the 72 melakartha ragas and had composed krithis in the same. The Janaka Raga Manjari was published in 1952 and recorded as Raagaanga Ravali in a nine-volume series by the Sangeeta Recording Company.Not merely content with his fame as a carnatic vocalist, very soon started playing the kanjira, mridangam, viola and violin. He also accompanied various musicians in violin and is also noted to give solo viola concerts. Balamuralikrishna started his career at the age of six. Till date, he has given over 25000 concerts worldwide..He accompanied Pandit Bhimsen Joshi. He also gave jugalbandi concerts with Pandit Hariprasad Chaurasia and Kishori Amonkar, among others. 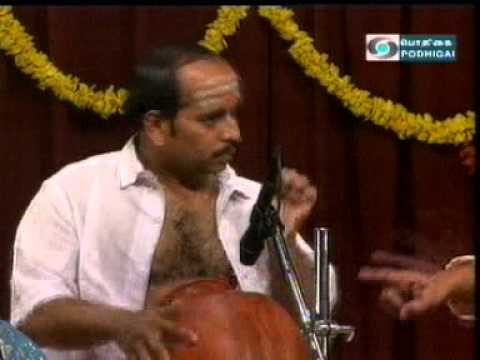 He is also known for popularising the Compositions of Sri Bhadrachala Ramadasu and Sri Annamacharya. Balamuralikrishna's concerts combine sophisticated vocal skills and rhythmic patterns of classical music with the popular demand for entertainment value. Balamurali Krishna has been invited to give concerts in many countries, including US, Canada, UK, Italy, France, Russia, Sri Lanka, Malaysia, Singapore, Middle East and many more. While his native tongue is Telugu. His work includes other multiple languages of Kannada, Sanskrit, Tamil, Malayalam, Hindi, Bengali, Punjabi. He appeared as featured soloist with an award-winning British choir, performing the "Gitanjali Suite" with words from Rabindranath Tagore's Nobel Prize-winning poetry and music by Dr. Joel, the noted UK-based Goan composer. His clear diction in several languages prompted an invitation to record Tagore's entire Rabindra Sangeet compositions in Bengali, preserving them for posterity. He has sung in French, and even ventured into jazz fusion, collaborating with the top Carnatic percussion teacher, Sri T.H. Subash Chandran, in a concert for Malaysian royalty. Balamuralikrishna has composed over 400 compositions in various languages like Telugu, Sanskrit, Kannada and Tamil. His compositions range from Devotional to Varnams, Krithis, Javalis and Thillans, in all the fundamental 72 melakartha ragas to film music. He made his acting debut with "Bhakta Prahlada" (1967) under AVM Productions as Narada, and has acted in various films. He also innovated the tala system. He has incorporated "Gathi Bedam" in the "Sa Sabdha Kriya" part of the existing Tala chain, thus throwing open a new chain of Tala System. Saint Arunagirinaadhar used to inject such systems in his famous Thirupugazh, but only as Sandham, while Balamuralikrishna is known to be the pioneer in bringing such Sandhams into a logical rhythm, with Angam & Definition. Thri Mukhi, Panchamukhi, Saptha Mukhi & Nava Mukhi are the Basic Classifications, he has named for his New Tala System. Compositions of the multifaceted personality in connection with his birthday on July 6. Dr M Balamuralikrishna with his evergreen rendition of Nagumomu Ganaleni. The music of Dr M Balamuralikrishna, one of the most original and accomplished musicians. A unique concert in a confluence of two legends of Carnatic music, Dr. M. Balamuralikrishna & Umayalpuram K. Sivaraman.